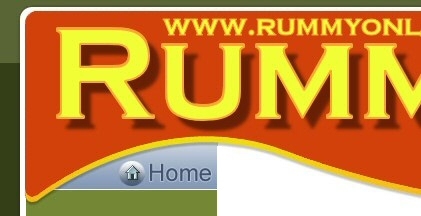 Oklahoma Gin Rummy is a variant on the very popular game of Gin Rummy and is played with between 2 and 4 players. A skill game played with a standard 52 card deck of playing cards. In Oklahoma, as with Gin Rummy, a 2 player game sees 10 cards being dealt to each player and in a 3 or 4 player game, 7 cards are dealt to each player. As with the other variations, in Oklahoma Gin Rummy, the aim of the game is to get rid of all your cards before your opponents do by creating melded hands consisting of sets and runs. When a set or run is made it is laid down on the table. Again, as with the other Rummy variants, Oklahoma melds produced as sets which contain 3 or 4 cards of the same numerical value or runs which consist of 3 or 4 cards of the same suit, consecutively numbered. Play begins with the player drawing a card from either the stick or discard pile on the rummy table. This card is added to the players hand and can be used to produce a better hand. After the hand has been played, the player has to discard on of their cards into the discard pile. In Oklahoma Gin Rummy rules, Aces count as 1 point and face cards are 10, all other cards are worth their face numerical value. Oklahoma Rummy Rules detail three ways in which a round can be won. They are called “Gin,” “Knock” and “Undercut.” The winner of a multiple round Oklahoma Gin Rummy game is the player to accumulate the largest amount of points. We’ll have a quick look at each of the winning moves in more detail. Gin – Where the player melds all of the cards in their hand and lays them all down on the table at once, placing the last remaining card in the discard pile. After a player has “Gin” the remaining players may lay any built melds onto the table to decrease their deadwood count. Players who Gin are awarded 25 points. The defeated players receive double their deadwood count as penalty points. Knock - A knock is where the player melds all of the cards in their hand and the deadwood count (the value of the unused cards) is equal to or lower than the face value of the opening card. After players Knock, their defeated opponents may lay their melds down onto the table, and add matching cards to the Knocking player’s melds only. The Knock therefore provides the defeated players with more of an opportunity to reduce the amount of penalty points than Gin. A Knock gains the winner 10 points and the defeated other players all receive their deadwood count less the Knocker's deadwood count as penalty points. An Undercut rewards the winner with 20 points. The other players receive their own deadwood count less the winners as penalty points. Have you tried our interactive How to Play Oklahoma tutorial?